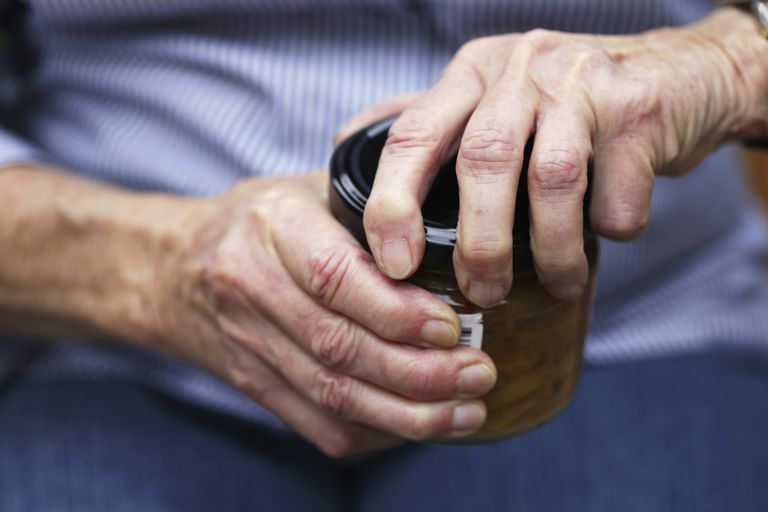 When people experience the initial symptoms of arthritis, they typically have considerable pain in one or more joints. It is not uncommon for people to try to self-treat the pain before consulting a doctor. By the time they do consult their doctor for a proper diagnosis and to start prescribed treatment, they simply want the pain to stop! The concept of living with chronic pain and learning how to best manage it hasn't yet entered their mind. Not only that, early on, it is not understood that the consequences of arthritis can be more complicated than pain alone. Arthritis is associated with functional limitations, too. According to the World Health Organization, a functional limitation is defined as any health problem that prevents a person from completing a range of tasks, whether simple or complex. Loss of function is a common manifestation of musculoskeletal diseases which can potentially affect the quality of life. With arthritis, there is a correlation between the severity of functional limitations and the severity of the disease. For example, if a single joint is affected, the functional limitation could involve a restricted range of motion and use of that particular joint. At the other end of the spectrum, there may be a severe physical disability resulting from severe inflammatory polyarthritis (e.g., rheumatoid arthritis). Functional limitations can affect your ability to perform self-care tasks, including personal hygiene, grooming, and dressing. Functional limitations also can affect your ability to cook and clean, work, exercise, and participate in social activities. It is essential that functional limitations be evaluated and monitored. Usually, this is accomplished by your doctor asking questions about specific tasks. The Health Assessment Questionnaire is widely used to determine changes in your physical function. As problem areas are identified, the use of assistive devices, physical therapy, or occupational therapy may be recommended. I - Completely able to perform usual activities of daily living (self-care, vocational, and avocational). Self-care includes bathing, grooming, dressing, feeding, and toileting. Vocational refers to work, school, or homemaking activities. Avocational refers to recreational or leisure activities. III - Able to perform usual self-care activities, but limited in vocational and avocational activities. IV - Limited in the ability to perform usual self-care, vocational, and avocational activities. Are Functional Limitations Common With Arthritis? According to the Centers for Disease Control and Prevention (CDC), nearly 43% of 50 million adults with doctor-diagnosed arthritis report limitations in their ability to perform usual activities due to their arthritis. Of working-age adults with doctor-diagnosed arthritis, 31% report that they are limited in work due to their arthritis. Of adults with arthritis who volunteer, 41% report that they are limited in their ability to volunteer because of their arthritis. About 27% of adults with arthritis who do not volunteer claim arthritis is the main reason why they can't. With regard to specific functional limitations, 40% of adults with arthritis report that at least one of the following 9 daily tasks are either very difficult to do or impossible to do (stoop, bend, or kneel; stand more than 2 hours; walk a distance of 1/4 mile; push a heavy object; climb a flight of stairs; lift or carry 10 pounds; sit more than 2 hours; reach above your head; grasp small objects). NHIS Arthritis Surveillance. Centers for Disease Control and Prevention. October 20, 2010. About Arthritis Disabilities and Limitations. Centers for Disease Control and Prevention. December 17, 2012. Functional Limitation Definition. Medical Dictionary. The Free Dictionary. http://medical-dictionary.thefreedictionary.com/functional+limitation. Kelley's Textbook of Rheumatology. Ninth Edition. Chapter 40. Loss of Function. Page 561. Davis, Moder, and Hunder. Elsevier. Primer on the Rheumatic Diseases. Arthritis Foundation. Thirteenth edition. Klippel JH et al. Criteria for the Classification and Diagnosis of the Rheumatic Diseases. Appendix I. Page 671. What Can Trigger Arthritis Flare Ups?